The Chicago Book Online Business Profile -- Diemasters Manufacturing Inc.
From humble beginnings as a tool maker serving local markets in the late 1940's, to a high-precision metal stamper providing parts globally, The Diemasters™ tagline of Manufacture Smarter™ is more synonymous with the company than ever before. Diemasters (now DMI) was founded as a high-precision tool builder on Chicago's West Side in 1948, and as the manufacturing landscape changed, Diemasters adapted to the evolving needs of the industry. In the 1960's, even though they were considered one of the premier tool builders in the region, DMI understood the importance of diversification and growth, so they moved into a 45,000 sq ft plant in Elmhurst and added metal stamping as a secondary market to tool making. As their stamping division thrived in the 1970's, they were acquired by Bally's and became Bally Diemasters, where many of their stamped parts were used in Bally pinball and slot machines. 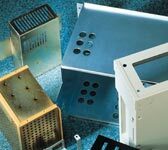 During this period, Diemasters further enhanced its capabilities by expanding into Sheet Metal Fabrication. By 1979, Diemasters' components were part of every Pac-Man video game being produced. The 1980's brought expansion into the OEM marketplace with Turn-Key Manufacturing and automated assembly. In 1989 Bally Diemasters was acquired by private ownership and renamed Diemasters Manufacturing, Inc. (DMI). During the late 1990's, demand for products in the Telecommunications industry resulted in significant growth of the business, spurring the purchase of the 80,000 sq. ft. facility in Elk Grove that The Diemasters currently calls home. In 1995, as DMI gained more and more market share in the automotive industry, they became ISO 9002 certified. This was followed up in 2003 with TS-16949 certification, which helps guide the "big three" US auto makers when it comes to quality, productivity and customer service. During that time period the Tooling Lifecycle Management program was also developed, a system that regularly monitors and maintains every tool used by DMI. 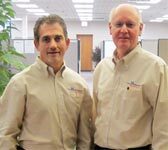 In 2005, under the guidance of new President, Virgil DeLay, DMI began to place even further value on "lean" manufacturing, employee training and customer satisfaction. This approach, coupled with the implementation of Theory of Constraints management and the creation of their proprietary flow system, was the start of what would later become The Diemasters Productivity System (TDPS). As metal stamping, fabrication and automated assemblies became the core competency of The Diemasters, opportunities increased. To take advantage of these opportunities, DMI made investments in machinery and equipment that led to joint ventures in China, Singapore and Mexico. As international business grew, DMI extended market reach domestically, entering new markets and growing their portfolio of customers. As business grew, so did the need for more efficiency, less bottlenecks, and greater productivity. To address these needs, they started formalizing The Diemasters Productivity System (TDPS), a proprietary platform that promotes customer satisfaction, continuous improvement, and a lowest landed costs for customers, while creating an open, collaborative environment in which employees are able to learn and grow. The Diemasters' continued adherence to TDPS paid off in 2012 as they were awarded the prestigious A.R. Hedberg Training & Education Award of Excellence by the Precision Metalforming Association (PMA). From a small tool and die shop on the West side of Chicago to an 80,000 sq. ft. plant with over 100 certified employees that produce 250,000 stamped parts a day, The Diemasters have stayed true to their promise to offer the highest quality products possible, provide unequaled customer service and, to Manufacture Smarter.